Random piece of trivia: it took me until I was an adult before I would eat anything that remotely resembled or had anything to do with pretzels of any kind. When I was a kid in Pre-School and Sunday School and they offered us the Rold Golds crunchy pretzels that came in the chip bags, I would never take them. I hated the taste so much that I would rather eat nothing at all and just sit at the table with my Dixie cup of water while the other kids chomped on those things that I thought tasted like salty sawdust and gave you bad breath. Can someone answer a question for me that I have yet to figure out for myself? WHY does anyone actually eat those soft Super Pretzels in the black box that you buy in the frozen food section of the grocery store? In the first place, I have a thing about eating dough that’s already been baked then frozen. I just haven’t had any yet that had any real flavor to me. In the second place: the Super Pretzels (that are apparently really popular among little kids) are absolutely dis-GUSTING. They taste like…I don’t know. Bland cardboard or they way you’d imagine salted packaging foam to taste if that were even a real thing. I’ll be honest: my early dislike of pretzels and anything to do with them made me a really late bloomer on getting around to trying Auntie Anne’s. C’mon, you didn’t ACTUALLY think I was gonna slander the deliciousness that is an Auntie Anne’s pretzel, did you? Sam’s Club butter pretzels are also pretty tasty too I’ve found. I’d love to get my hands on that recipe someday to try and recreate it at home. But in the meantime-in-between-time, what I’ve got for you guys today will work juuuuuust fine. I first saw these in a Food Network magazine article and thought that they looked delicious. I immediately clipped it out and put it in my binder to make for later. 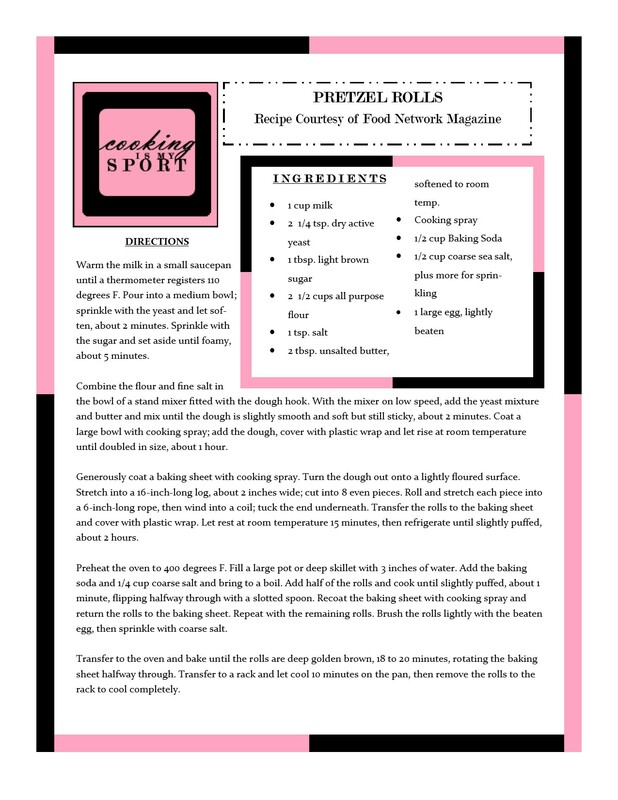 “Later” took a few months, but as it turns out, homemade soft pretzels are a classic food for Oktoberfest, so I just figured that this was a pretty good time to try this recipe out. The results are pretty awesome. 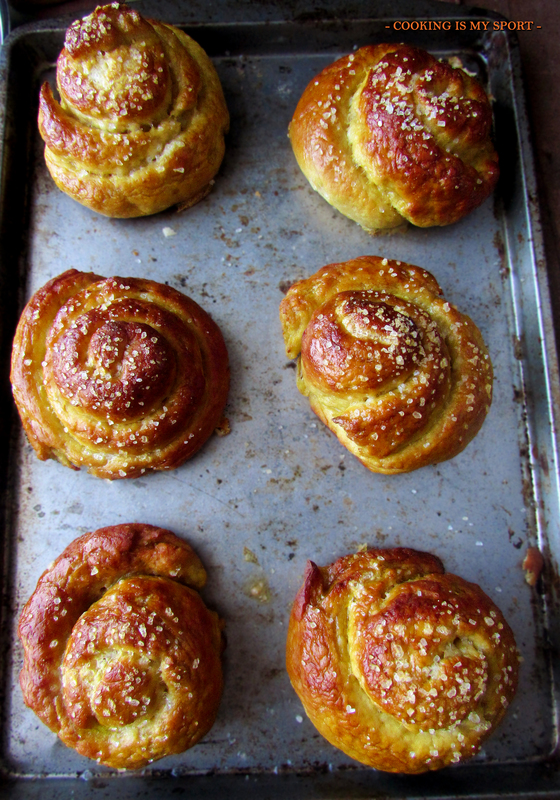 The rolls baked up nice, tall and golden brown. They were also the inspiration for the next post I’ve already gotten lined up for you guys.Cause there’s definitely more coming. Stay tuned. And now, I also know how to make pretzels. Totally a life skill everyone should know. Happy Fiesta Friday #90 weekend as well: and thanks to Effie @ Food Daydreaming and Lindy @ Lindy Mechefske for co-hosting. 2 tbsp. unsalted butter, softened to room temp. Warm the milk in a small saucepan until a thermometer registers 110 degrees F. Pour into a medium bowl; sprinkle with the yeast and let soften, about 2 minutes. Sprinkle with the sugar and set aside until foamy, about 5 minutes. Combine the flour and fine salt in the bowl of a stand mixer fitted with the dough hook. With the mixer on low speed, add the yeast mixture and butter and mix until the dough is slightly smooth and soft but still sticky, about 2 minutes. Coat a large bowl with cooking spray; add the dough, cover with plastic wrap and let rise at room temperature until doubled in size, about 1 hour. Generously coat a baking sheet with cooking spray. Turn the dough out onto a lightly floured surface. Stretch into a 16-inch-long log, about 2 inches wide; cut into 8 even pieces. Roll and stretch each piece into a 6-inch-long rope, then wind into a coil; tuck the end underneath. Transfer the rolls to the baking sheet and cover with plastic wrap. Let rest at room temperature 15 minutes, then refrigerate until slightly puffed, about 2 hours. Preheat the oven to 400 degrees F. Fill a large pot or deep skillet with 3 inches of water. Add the baking soda and 1/4 cup coarse salt and bring to a boil. Add half of the rolls and cook until slightly puffed, about 1 minute, flipping halfway through with a slotted spoon. Recoat the baking sheet with cooking spray and return the rolls to the baking sheet. Repeat with the remaining rolls. Brush the rolls lightly with the beaten egg, then sprinkle with coarse salt. Transfer to the oven and bake until the rolls are deep golden brown, 18 to 20 minutes, rotating the baking sheet halfway through. Transfer to a rack and let cool 10 minutes on the pan, then remove the rolls to the rack to cool completely. 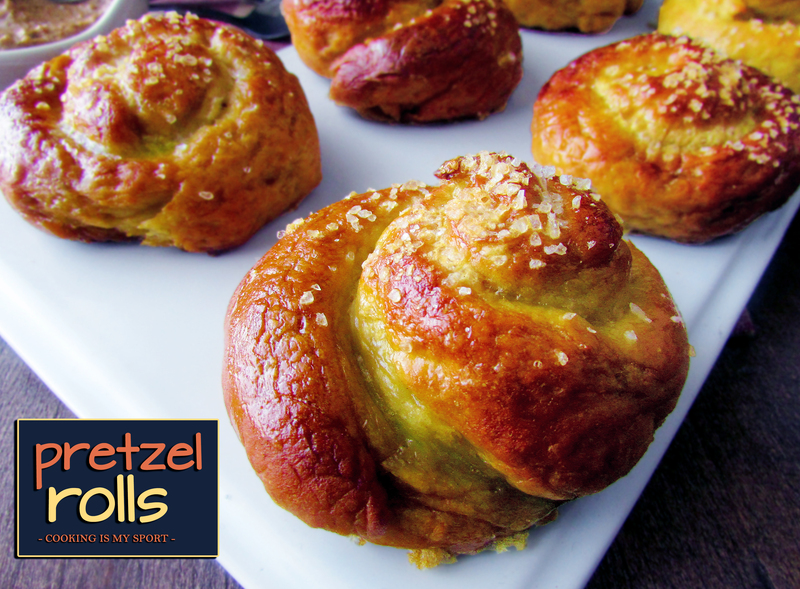 Those look great Jess, I will have to admit I have never had Auntie Ann’s pretzels, I think they have a shop in a shopping mall I will have to give them a try, Your rolls look really good, I am intrigued with the boiling part. They sure do look delicious. Yeah, the boiling part caught me off guard when I first read through the directions, but I followed through, and it turned out ok I think lol Thanks! 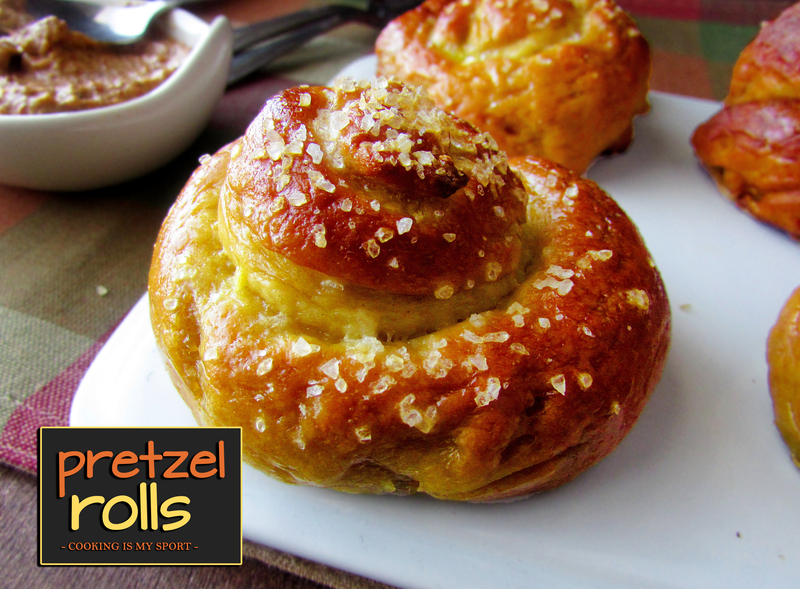 These pretzel rolls look so delicious and I can’t wait to give these a try! And they look pretty easy to make too! They really aren’t hard at all Andrea, especially not for someone with the skills in the kitchen you’ve got. I think you’d really like them 😉 Thank you! Reminds me of when I use to boil bagels! 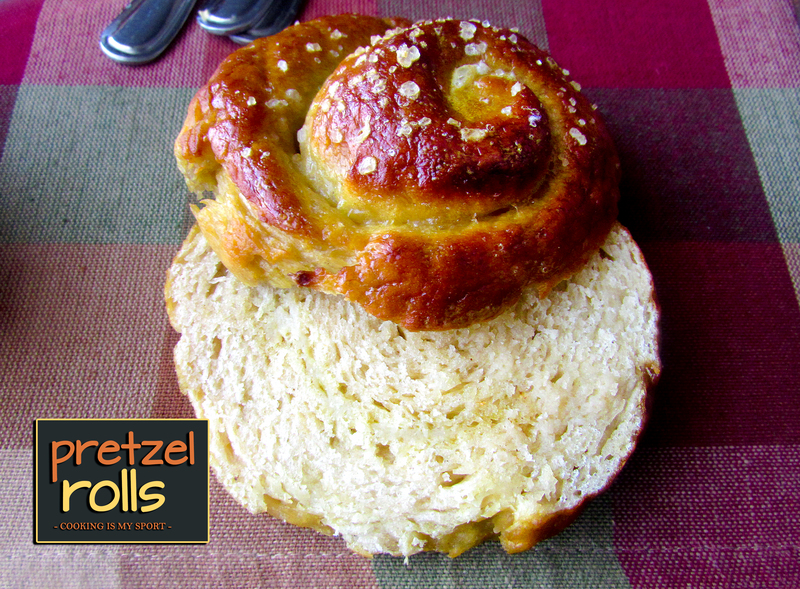 Your pretzels looks delicious – I always have to force myself to stay away from the shop that sells them in my local mall! I don’t think we have Auntie Ann’s pretzels in Canada so I working on imagination here but not sure how they could be any better than your pretzel buns. Happy (belated) Fiesta Friday! Aww that’s too bad. I’m pretty sure there are quite a few copycat recipes floating around the internet if you wanted to try- OR you could try these as well lol Thank you! My first reaction when I saw your pictures was to say out loud even though I am sitting by myself, “Oh Yum!” They look amazing! I would love to try your recipe. I didn’t know pretzels were boiled. Thanks for sharing this, Jess! I also thought pretzels tasted like salty sawdust! Are we the only ones? I love these rolls. I am sure they are delish! I agree with you too on the frozen bread thing. Much better to put a few things together in my own kitchen. Enjoy your weekend Jess! I have to be in a special type of mood to eat the crunchy type of pretzels Julie. It took me a while to even get to that point lol thank you! Salted packaging foam these are NOT! Wow! Wish I could have one of your superb rolls right now! Jessica Merchant showed these hollowed out and used as a potato cheese soup shooters! Check it out. So adorable! I made pretzels once when my kids were in preschool( they are 20,21 and 22 now!) 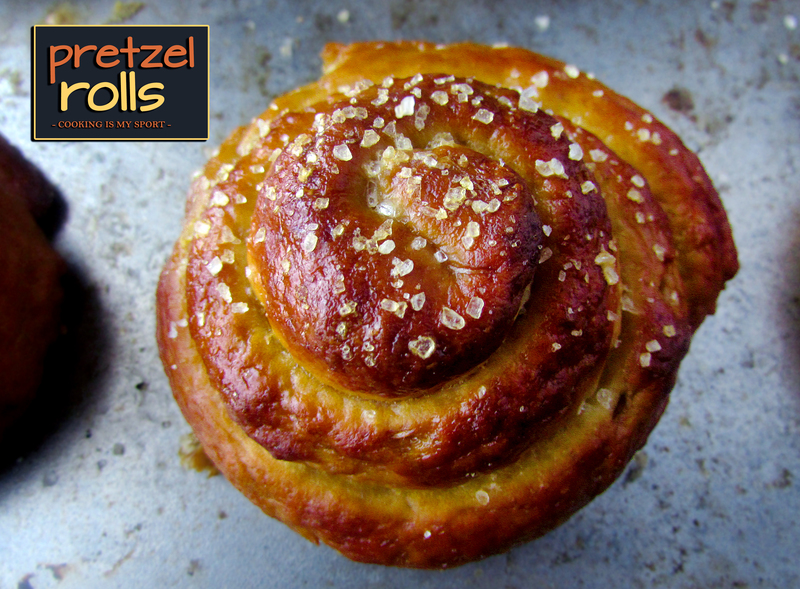 shaped in every child’s initial when I was snack mom….won snack mom of the year for that crazy undertaking but never made pretzels again. Time to try again with your recipe! Awesome johnanne, I hope you like how they turn out- thank you!